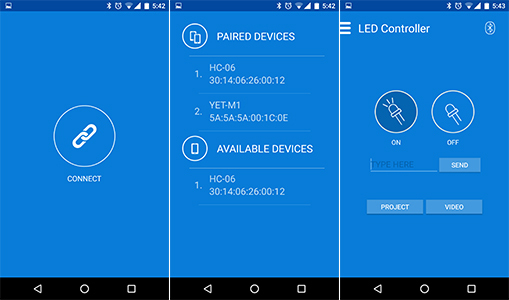 Hi everyone, In this project i will show you how to control LED light with your Android device along with Arduino. I am using Hc-06 bluetooth module for arduino to communicate with the android device. Here is the Arduino Bluetooth updated version 1.1.0 of Android App. AliExpress.com Product – 4 Pin Bluetooth Module – $4.60 only! 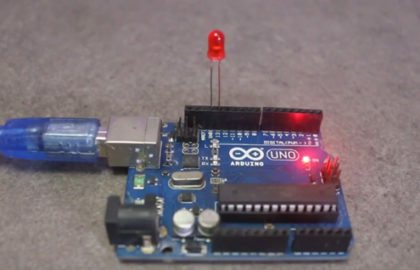 AliExpress.com Product – UNO R3 MEGA328P For Arduino $2.78 only! AliExpress.com Product – 2PCS Mini Solderless Breadboard. $1.82 only! 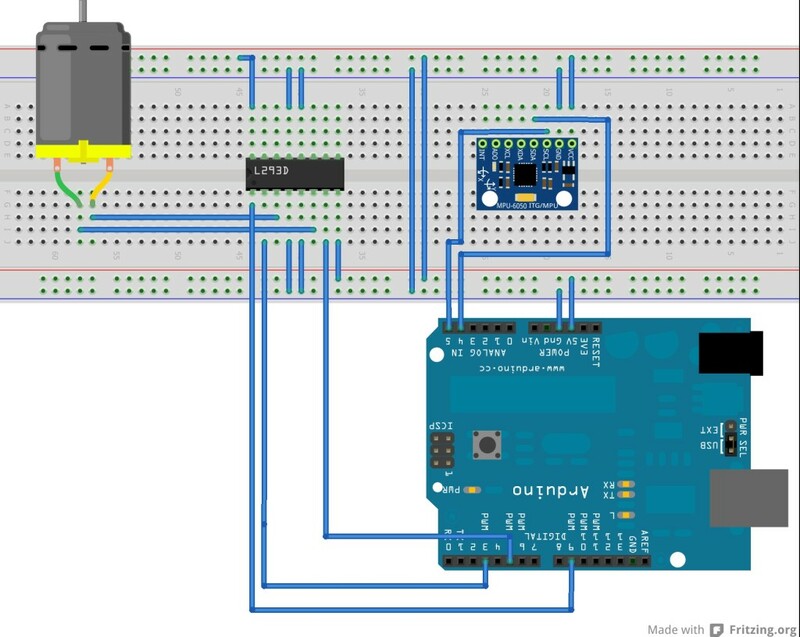 Circuit Diagram of Arduino bluetooth project. Very nice.. What is the download URL for the Android tablet app. plz give me google app link or source code.. Please send android app name or URL so that I can check. Hi mate any chance you can tell me what is that app name so I can download it please ? Very interesting, but how they are using the buttons? How change the button state? how can we develop android studio code for this app? can you please explain the steps to develop this app in android studio. can i buy android studio code for this project? Could you send me the Android code for the app please ?? The HC-06 RX and TX pins work in 3V3 logic level but you didn’t use any logic level converter or even (recommended) a voltage divider (not recommended but it’s ok), why??? Hi there I really like this app you use to control it. Would you please have the source code available? I downloaded the app from google store. But when I’m trying to connect it with bluetooth module, it’s responding ‘connection error’. The application is unable to connect with any other devices via bluetooth. Can you please help us how to make that connection. and my mail is “purnachandra468@gmail.com” pls,,,,,,,,,,……………,,,,,,,,,,,,,,,,. When I send change value from Arduino Buttons, the status buttons on android doesnt work to me. 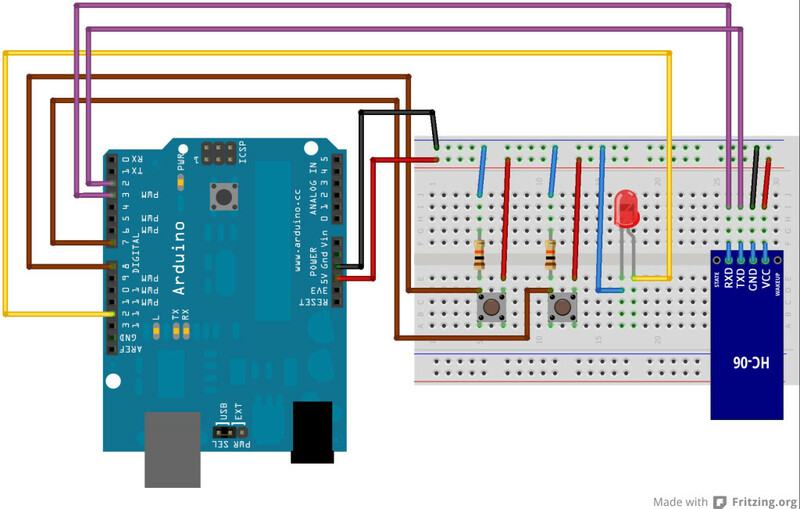 sir please answer if i want to blink led 10 are 20 time according to commond how to do if i send 10 dos led blinks 10 times. 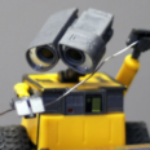 I want MIT app invertor to file aia thanks my friend.